Boats at Audlem Music Festival. Boats moored on the Shroppie at Audlem. Seems this is the time of year for boat centred work with yet another event to look at. 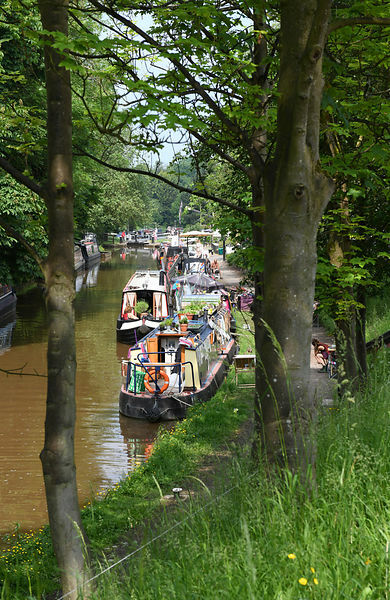 Although this shot is of some of the boats moored adjacent to the Audlem Music Festival the reason for being there was to see an innovative new business for a forthcoming article in TPT. Whatever the reason it was good to be down by the water again and in such good weather too.